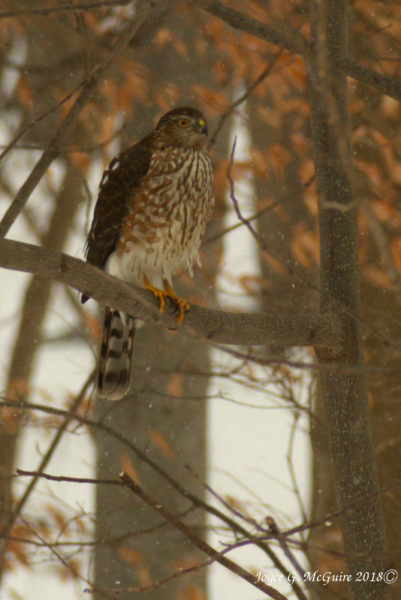 This hawk has been scaring my smaller birds away. But isn’t he beautiful? Yes, he is, and a great shot of him! He is beautiful. We had one after our smaller birds and it hit the window one day as it dived after them. He was unhurt. Nice photo of him.